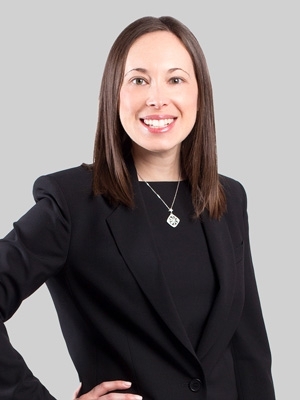 Ali is co-chair of both the Immigration practice and the EB-5 Immigrant Investor Services practice. She represents companies and individuals in business immigration, employer compliance and EB-5 matters. She advises startups and established companies in connection with visa sponsorship of foreign nationals and permanent residency as well as counsels investors and entrepreneurs on securing visas or permanent residency. She also helps companies assess immigration compliance (Form I-9, E-Verify) and train relevant personnel on federal and state employer verification laws with particular focus in the hotel, restaurant, construction and gaming industries. Ali routinely handles L-1, H-1B, H-2B, B-1, B-2, R, TN, I-1, E-2, E-3, EB-1C, PERM/EB-2, EB-5 and EB-1A visa status and permanent residency. She also handles I-526 petitions. Additionally, she regularly educates developers, franchises and investors throughout the United States and in China on EB-5 regional center opportunities. Prior to joining Fox, Ali was an attorney at an international law firm where she was part of the EB-5 team and business immigration and compliance group and oversaw the firm’s West Coast immigration practice. She was also the founder of her own firm, AB Immigration Law. Additionally, Ali worked at several Denver-based immigration boutiques, one of which where she launched the firm’s immigration practice group. During law school, Ali was the technical editor of the Transportation Law Journal. She was also a legal intern for the Honorable Gregory W. Carman of the U.S. Court of International Trade and the Rocky Mountain Survivors Center. During college, Ali served as a research intern for Comisión Española de Ayuda al Refugiado. Ali is active in the Anti-Defamation League, serving on the regional board of directors in Denver and as program chair of the ADL’s 32nd Annual Governor’s Holocaust Remembrance Program. Ali is a member of the American Immigration Lawyers Association (AILA), where she co-chairs the Unauthorized Practice of Law Committee. She is also a former member of the Hispanic Chamber of Commerce in Metro Denver.